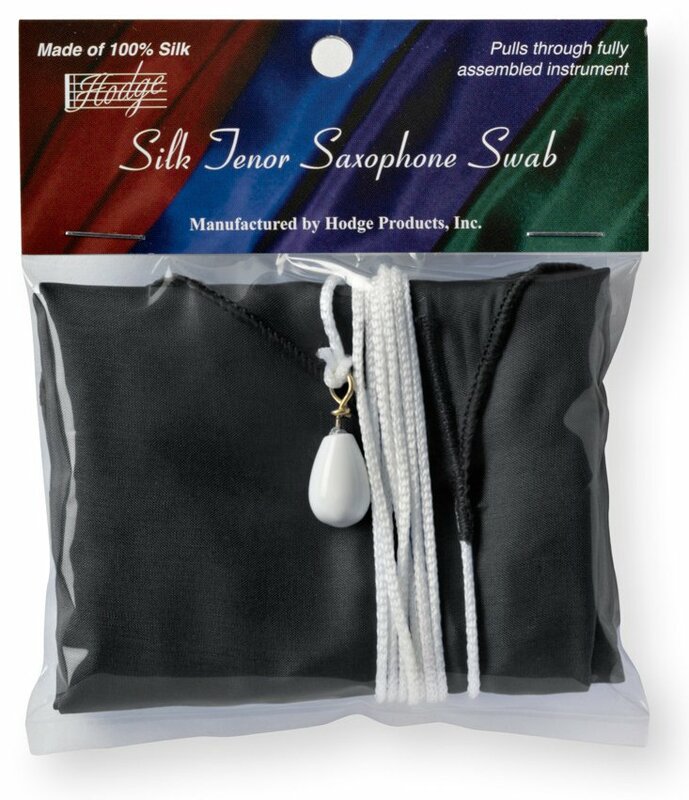 The silk saxophone swabs are designed to go all the way through the fully assembled saxophone. There is no need to remove the neck or carry a separate swab for the neck. This is a great convenience. The tenor saxophone swabs are designed the same as the alto saxophone swabs, but with a longer cord and heavier weight.